Many aspects of medical treatment may raise human rights issues. Under UK human rights law NHS medical establishments and local health authorities are 'public authorities'. This means that they must comply with the duties contained in the Human Rights Act. Therefore, a breach of an individual's human rights by the NHS or a local health authority could give rise to a legal claim under the Human Rights Act. Article 8 – the right to respect for an individual's private life. Under Article 14 public authorities must ensure that there is no discrimination in the way that the rights in the Act are applied. “Postcode lottery“ and “postcode prescribing“ are terms which have been applied to the availability of certain treatments and medications on the NHS. For a treatment to be made widely available on the NHS it must be approved by the National Institute for Health and Clinical Excellence (NICE) – In England and Wales – or the Scottish Medicines Consortium – in Scotland. If a treatment is not approved it will only be available through the NHS if a patient's local health authority agrees to provide special funding for it. Applications for this funding are made by a patient's doctor. The criteria applied to applications, and the amount of funding available, may vary between different health authorities. Therefore, a treatment could be provided on the NHS for some patients but not for others. This may raise questions about whether there has been discrimination relating to access to the treatment based on where a patient lives. Human rights arguments may also be raised in relation to drugs which are deemed to have little positive impact or which are considered to be disproportionately expensive. For example, an expensive drug may be shown to prolong life in terminally ill patients – but only for a matter of weeks. On this basis it may not be approved for availability on the NHS. Patients may argue that, by withholding the treatment, the local health authority has breached their right to life. 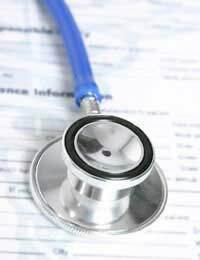 Medical professionals have a duty to provide their patients with information about any medical treatment they propose. This enables a patient to give informed consent to the treatment. Generally speaking, a doctor who carries out medical treatment on a patient without that patient's consent is likely to be committing a criminal assault. There are some exceptions to this rule especially in cases where a patient is unable to give valid consent to important treatment. In these circumstances the treatment may still be given if it is in the patient's best interests. This is a complex area of medicine / law and each case is likely to depend on its own facts. Different rules may also apply to patients who come under the auspices of the Mental Health Act 1983. In principal children under the age of 18 are not able to give valid consent to medical treatment. However, special provisions apply to children aged 16 or 17 who may be able to give valid consent in respect of some types of treatment. Indeed, the courts have held that some younger children may also be able to give valid consent to certain types of treatment. Consent from younger children will depend on the particular child and the treatment in question. This topic also raises issues regarding confidentiality and a child's right to privacy and to receive treatment without their parents' knowledge. Where a minor cannot give valid consent, an adult with parental responsibility for the child will generally have to give consent for any treatment to be lawful. There may be cases where the adult does not consent to the treatment and relies on their right to make decisions about the child's welfare. If medical professionals believe that a particular treatment is in a child's best interests they may apply for a court order so that the treatment can go ahead. The court may weigh the parent's right to make decisions about their child against the benefit to be derived from the treatment. A court may also be required to make this decision if people with parental responsibility for a child disagree about whether or not they should receive a particular treatment. With a no deal Brexit predicted to lead to shortages of life-saving medicines, could the Government and Prime Minister be charged under article 2 of the Human Rights Act for any associated deaths? I agree I am suffering by the nhs !! Refuse to get me the treatment I need !! Have mental health problems and an being discriminated against cry and scream in pain daily I can not bare to go on like this. sitting lying an waling are excruciating . No one is listening to me!! I am left tourched even not this is so hard and and painful!! my mid is going . I have no quality of life any more!! Please help some one an help the rest of the people that need help stop making us suffer at your expense!!! Chronic pain, peripheral neuropathy, charcot foot.Pain constant for over 15 years.Medication doesn't touch it. A bottle of whisky will knock me out, with overdose of tramadol and amyltryptaline. I can't go on like it. Please give me the right to die. Hello, I was put on antidepressants at just 9yrs old and was left on them without sufficient monitoring for many years. At the time I was prescribed 2001/02there was no labling surrounding discontinuation (withdrawal problems) or the increased risk of aggression, lability and stastical increase in suicidal behaviour in children adults adolescents under 25. Infant and child trials showed most antidepressantsIneffective in this age group. The pharmaceutical company's had this trial data and held it back and marketed them illegally for children If my parents would have known these points they would not have made the decision in my interest in terms of risk/harm Ratio just for childood anxiety. Im 26 still on these drugs unemployed have attempted suicide and have suffered immensely when attempting to discontinue these drugsI have no idea what the long term effects on me are, and or on a developing brain. What are my human rights if I was a minor and how would you go about changing the law so that young persons have rights and are safeguarded and protected from iatregenic harm caused by greedy business in the pharma sector regarding psychotropic and other potentially harmful practices. Thanks for reading, email me if possible. We can't answer questions by email. If you want to take action against the drug companies you would need to speak to a legal professional. To change the law, medical evidence would be neeeded etc. Medicines and the way they, come to market, are sold and prescribed are stringently regulated in the UK as is the medical profession itself. To get the law changed, you'd need the backing of MPs and significant evidence. Hello, I was put on antidepressants at just 9yrs old and was left on them without sufficient monitoring for many years. At the time I was prescribed 2001/02 there was no labling surrounding discontinuation (withdrawal problems) or the increased risk of aggression, lability and stastical increase in suicidal behaviour in children adults adolescents under 25. Infant and child trials showed most antidepressants Ineffective in this age group. The pharmaceutical company's had this trial data and held it back and marketed them illegally for children If my parents would have known these points they would not have made the decision in my interest in terms of risk/harm Ratio just for childood anxiety. Im 26 still on these drugs unemployed have attempted suicide and have suffered immensely when attempting to discontinue these drugs I have no idea what the long term effects on me are, and or on a developing brain. What are my human rights if I was a minor and how would you go about changing the law so that young persons have rights and are safeguarded and protected from iatregenic harm caused by greedy business in the pharma sector regarding psychotropic and other potentially harmful practices. Thanks for reading, email me if possible. Q: my local gp us a failing practiceans has been for 6 yrs. I told them where to stick their gp surgeryand am now barred. Ive been sent a letter which says i can now only get medical treatment from outsidethe county and i can only phone them on teus between 9am and 12 noon. As a uk citizen is this a violation of myhuman rights as i cant afford the travel to go outside the county. In 2010 I had a knee replacement, since then every time I move that knee I am in ridiculous amounts of pain.I was at the time reliant on a wheelchair anyway but I was still kayaking and able to self propel my chair for miles and would also go swimming.Its now 8 years later and I am now basically housebound, I spent two years pleading with orthopaedic consultants to amputate my left leg above the knee but had no luck and had to stop as it was affecting my mental health. They requested that I see a psychiatrist and she confirmed I wasn't requested due to mental health. I am about to start the process of referals and asking again for an ampuation, I don't expect to walk but I would just like to move with out pain, the consultant said he would do it if he knew it would help. If I didn't have a knee joint, it wouldn't move and cause pain. They did offer to fuse my leg, so no knee just one long leg but I am 6' 4" and that would cause problems like being in the wheelchair, I also wouldn't get in the car and on the toilet would be awkward etc. What are my rights? The consultants say they swore an oath do no harm but by refusing they have caused harm. Being in pain is miserable, day after day with no end. I know I could possibly be in pain after but it wouldn't be made worse by moving. Can I use the law to help me at least have a chance at being able to move without extra pain? We don't know sorry, you would really need to speak to a legal professional, armed with all the facts of your case. In 2010 I had a knee replacement, since then every time I move that knee I am in ridiculous amounts of pain. I was at the time reliant on a wheelchair anyway but I was still kayaking and able to self propel my chair for miles and would also go swimming. Its now 8 years later and I am now basically housebound, I spent two years pleading with orthopaedic consultants to amputate my left leg above the knee but had no luck and had to stop as it was affecting my mental health. They requested that I see a psychiatrist and she confirmed I wasn't requested due to mental health. I am about to start the process of referals and asking again for an ampuation, I don't expect to walk but I would just like to move with out pain, the consultant said he would do it if he knew it would help. If I didn't have a knee joint, it wouldn't move and cause pain. They did offer to fuse my leg, so no knee just one long leg but I am 6' 4" and that would cause problems like being in the wheelchair, I also wouldn't get in the car and on the toilet would be awkward etc. What are my rights? The consultants say they swore an oath do no harm but by refusing they have caused harm. Being in pain is miserable, day after day with no end. I know I could possibly be in pain after but it wouldn't be made worse by moving. Can I use the law to help me at least have a chance at being able to move without extra pain? As an independent patient in hospital who doesn't require monitoring by the nurses, what are my rights around protecting my privacy with the curtain? Am I entitled to keep it closed if I want it that way? Curtains are usually left open so that medical staff can keep an eye on their patients. Ask the ward staff when you can leave your curtains closed and what/if there are any hospital rules. My brother has stage 4 oesophageal cancer. While receiving treatment privately in london on 20th Dec 17 they discovered on a CT scan that the cancer had spread to his brain. One of the tumours was blocking the brain stem and therefore allowing fluid to build up in his brain. The neurosurgeon in London said that he needed a VT shunt to drain the fluid but felt it would be best he have this at home in Northern Ireland due to recovery etc. We had a consultation on 2nd Jan 18 in Belfast, the neurosurgeon initially stated that it was indeed urgent for him to have have a shunt inserted and explained what could happen if he didn’t. He was actually arranging this procedure for 3 days later. While at this consultation they were unexpectedly able to do an MRI scan, after reviewing this scan the neurosurgeon decided instead that he wanted to discuss my brothers case at an MDM on 5th Jan 18 as the MRI showed more tumours than what were present on the CT but he said he would call him after the meeting. At this point my brother had some manageable symptoms from the fluid build up (hydrocephalus) such as memory loss, confusion and slightly unsteady on his feet. Anyway after the meeting the neurosurgeon called and said they decided inserting a shunt would be of no neurosurgical benefit. On the 10th Jan 18, my brother deteriorated very quickly loosing power in his legs requiring a wheelchair, urinary incontinance, memory loss and severe cognitive impairment. All symptoms that the Belfast neurosurgeon stated could happen without surgical intervention. We were left with no choice but to take my brother to a neurosurgeon in Dublin who recognised straight away from both seeing him and reviewing the scans that my brother needed a vt shunt urgently and as such it was done the next morning. All presenting symptoms were alleviated immediately after the surgery and his quality of life has returned to normal. Obviously he still has stage 4 oesophageal cancer with tumours in his brain but for now he has a good quality of life and the procedure has certainly prolonged his life as we were told he would have continued to quickly deteriorate and eventually gone into a coma and died without having the surgery. My question is surely Belfast refusing him of this procedure was an infringement of his human rights, the right to prolong and improve his quality of his life even highlighting that what happened to him was likely to happen without the procedure. We can't really comment on individual medical cases like this. If you want to investigate/question the actions of the original neuro surgeon, you should follow their complaints procedure intially. My brother has stage 4 oesophageal cancer. While receiving treatment privately in london on 20th Dec 17 they discovered on a CT scan that the cancer had spread to his brain. One of the tumours was blocking the brain stem and therefore allowing fluid to build up in his brain. The neurosurgeon in London said that he needed a VT shunt to drain the fluid but felt it would be best he have this at home in Northern Ireland due to recovery etc. We had a consultation on 2nd Jan 18 in Belfast, the neurosurgeon initially stated that it was indeed urgent for him to have have a shunt inserted and explained what could happen if he didn’t. He was actually arranging this procedure for 3 days later. While at this consultation they were unexpectedly able to do an MRI scan, after reviewing this scan the neurosurgeon decided instead that he wanted to discuss my brothers case at an MDM on 5th Jan 18 as the MRI showed more tumours than what were present on the CT but he said he would call him after the meeting. At this point my brother had some manageable symptoms from the fluid build up (hydrocephalus) such as memory loss, confusion and slightly unsteady on his feet. Anyway after the meeting the neurosurgeon called and said they decided inserting a shunt would be of no neurosurgical benefit. On the 10th Jan 18, my brother deteriorated very quickly loosing power in his legs requiring a wheelchair, urinary incontinance, memory loss and severe cognitive impairment. All symptoms that the Belfast neurosurgeon stated could happen without surgical intervention. We were left with no choice but to take my brother to a neurosurgeon in Dublin who recognised straight away from both seeing him and reviewing the scans that my brother needed a vt shunt urgently and as such it was done the next morning. All presenting symptoms were alleviated immediately after the surgery and his quality of life has returned to normal. Obviously he still has stage 4 oesophageal cancer with tumours in his brain but for now he has a good quality of life and the procedure has certainly prolonged his life as we were told he would have continued to quickly deteriorate and eventually gone into a coma and died without having the surgery. My question is surely Belfast refusing him of this procedure was an infringement of his human rights, theright to prolong and improve his quality of his life even highlighting that what happened to him was likely to happen without the procedure. I was 15 when I first told people I thought I had Asperger syndrome, I had all the traits and symptoms and I just wanted an opinion. I was thrown back and forth between my GP, Kams, and step 2 for over a year. When my GP FINALLY put in a referral to one of your childhood development centers for attempted suicide and an suspected autism, I was DENIED. The only reason they gave me was because I am over 16, so I was not classed as a child. But I'm also under 18, so I am not classed as and adult. What am I and why wont you see me? stop ignoring me please, I'm scared I will kill myself before I turn 18 and you stop ignoring me! Our website is purely for advice and we can't give direct help to people. Can you take a look at Young Minds ? There is a list of helplines that you can call. I was 15 when i first told people i thought i had Asperger syndrome, i had all the traits and symptoms and i just wanted an opinion. I was thrown back and forth between my GP, Kams, and step 2 for over a year. When my GP FINALLY put in a referral to one of your childhood development centers for attempted suicide and an suspected autism, i was DENIED. The only reason they gaveme was because i am over 16, so i was not classed as a child. But i'm also under 18, so i am not classed as and adult. What am i and why wont you see me? stop ignoring me please, i'm scared i will kill myself before i turn 18 and you stop ignoring me! Last night after an attempted suicide I was brought to the hospital by ambulance, my family was meeting me there. Got in and they just started poking me I would ask questions about my treatment, I was ignored. My family arrived they said no visitors. Which really freaked me out so I asked to call my lawyer, my nurse replied "do you have their number" I said no but call my dad and get it off him. And she said ahhh then no. I kept asking what my rights were in there they ignored every question I had. They neglected me when I'd hit the call button and was still ignored left to throw up all over myself finding myself crying "can someone please help me" my nurse finally came in and she said alright stand up I'll change the sheets, she did then left, came back with clean scrubs. Didn't ask to help me clean myself up or anything! I asked to call any of my emergency contacts that request was declined also! Bc it was late, they wouldn't let me talk to anyone! I asked if someone would stay with me since they wouldn't let my family in or let me call them. Brushed it off and no one ever came. it's messed up Bc I have no wittiness to this neglect, she said if I didn't calm down I was going toBe blue pages, which means I would not be able to leave. At this point all the medication I was taking was hitting me, I was paranoid and anxious so I tried to stop myself for asking anything due to getting blue papered. I am home now and all I can think about is how DISGUSTED I was that no one ever explained one thing to me. I was ignored, it was like my life didn't matter to them. And they couldGet away with it Bc it's their words agains mine. I was crying to my nurse please let me call my mom I am so scared idk what's going to happen I'm freaking out she will calm me down. (And she would've too) I don't know what my options are? I want to make sure this behavior doesn't go unnoticed and it doesn't happen to anyone else. Last night after an attempted suicide I was brought to the hospital by ambulance, my family was meeting me there. Got in and they just started poking me I would ask questions about my treatment, I was ignored. My family arrived they said no visitors. Which really freaked me out so I asked to call my lawyer, my nurse replied "do you have their number" I said no but call my dad and get it off him. And she said ahhh then no. I kept asking what my rights were in there they ignored every question I had. They neglected me when I'd hit the call button and was still ignored left to throw up all over myself finding myself crying "can someone please help me" my nurse finally came in and she said alright stand up I'll change the sheets, she did then left, came back with clean scrubs. Didn't ask to help me clean myself up or anything! I asked to call any of my emergency contacts that request was declined also! Bc it was late, they wouldn't let me talk to anyone! I asked if someone would stay with me since they wouldn't let my family in or let me call them.Brushed it off and no one ever came ... it's messed up Bc I have no wittiness to this neglect, she said if I didn't calm down I was going to Be blue pages, which means I would not be able to leave. At this point all the medication I was taking was hitting me, I was paranoid and anxious so I tried to stop myself for asking anything due to getting blue papered .. I am home now and all I can think about is how DISGUSTED I was that no one ever explained one thing to me. I was ignored, it was like my life didn't matter to them. And they could Get away with it Bc it's their words agains mine . I wascrying to my nurse please let me call my mom I am so scared idk what's going to happen I'm freaking out she will calm me down. (And she would've too)I don't know what my options are? I want to make sure this behavior doesn't go unnoticed and it doesn't happen to anyone else. We can't give individual medical advice sorry. You are entitled to ask for a second opinion. If your quality of life is really bad, you may be reconsidered. Unfortunately it might be a case of going back time and again to your GP. If your GP considers your lack of mobility is affecting your state of mind he/she might be able to back you up. Can my doctor refuse me strong medication due to my "young" age if I'm in need of it ? Yes a doctor usually knows best what medical treatments to prescribe. This will depend on the policy of your local doctor's practice or NHS primary care trust, so it would be better to contact them and ask.